Overview: Explore the beautiful plantation inns of Nevis, St. Kitts sister island, on a leisurely tour that includes lunch and beach time. After a 45-minute sea-taxi ride to the island known as the “Queen of the Caribbean”, explore two historic inns – one the choice of the late Princess Diana – surrounded by botanical gardens. Enjoy lunch at a Caribbean style beach bar on Pinney Beach. Sip rum or fruit punch and sunbathe by the azure sea. Highlights: Mountpelier Plantation Inn: Princess Diana’s choice – Enjoy the beautiful gardens and learn how former plantations became intimate Plantation Inns. Golden Rock Plantation Hotel: Stroll the grounds of this former plantation located on the edge of a tropical rainforest. Pinney Beach Lunch: Recline on a beach chair, sunbathe or swim in turquoise waters, after enjoying a delicious lunch. 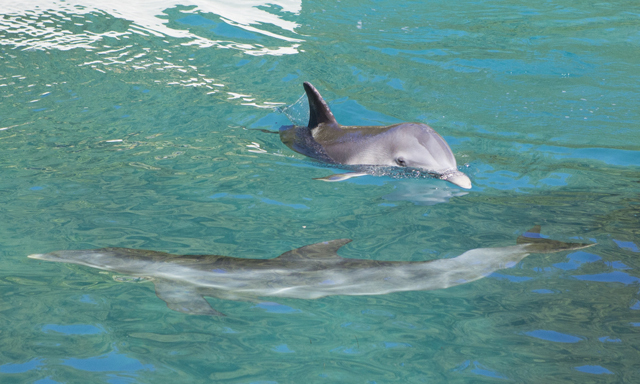 Overview: Enjoy a moving encounter with a playful, friendly and intelligent marine mammal, the dolphin, at a waterfront facility at Prospect Reef. You’ll first get acquainted and touch a dolphin while standing on a submerged platform in the Caribbean Sea. Then enjoy the amazing opportunity to interact with this incredible creature as it demonstrates its speed, offers you a kiss, waves and much more, all of which will enrich your understanding of dolphins. 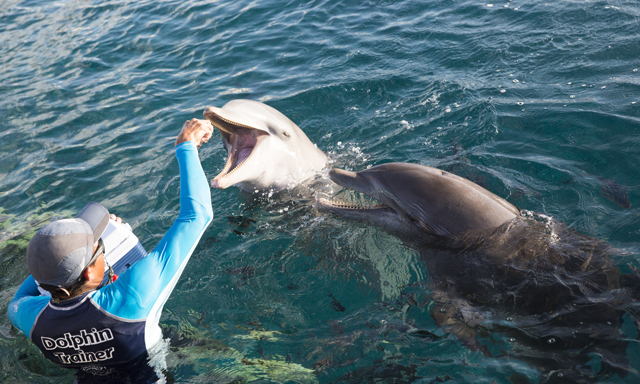 Highlights: Dolphin Interaction: Meet, greet and kiss a friendly dolphin during a 30-minute encounter. Comfortable Access: Walk down a staircase to reach the submerged platform on which you stand in waist-high water. Escorted Transfer: Check-in and get oriented by a staff on the pier before the taxi ride to the facility. Overview: Swim with dolphins in Anguilla on a spectacular sightseeing cruise that departs from St. Maarten. See the French and Dutch sides of St. Maarten on the hour-long ferry transit, then enjoy one-on-one waterplay with the amazing and intelligent mammals. Pet and play with dolphins who will dance and sing for you during this astounding, family-friendly tour. Afterwards, relax on Anguilla’s stunning beaches, or take a dip in the Caribbean Sea. 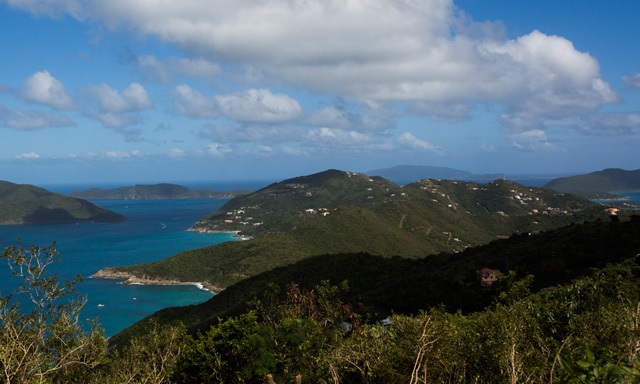 Highlights: Caribbean Panorama: Capture magnificent views of both French and Dutch sides of St. Maarten on the ferry to Anguilla. 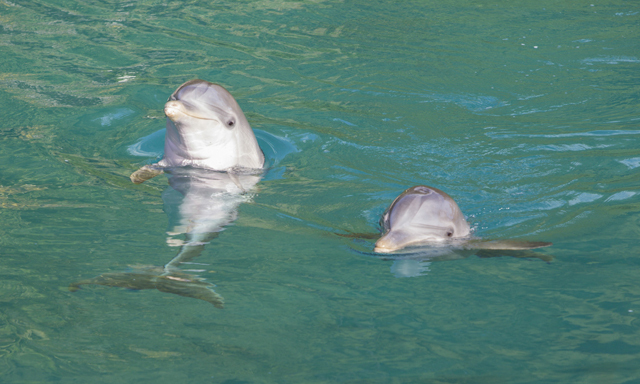 Dolphin Encounter: Spend time in the water petting, playing and interacting with these highly-intelligent mammals. Anguilla Beach Time: Relax on gorgeous white sand beaches or swim in the balmy, clear turquoise waters. 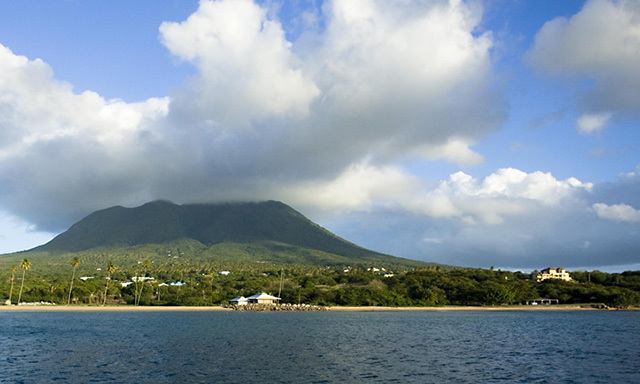 Overview: See virtually all of St. Kitts on a unique tour that combines a sightseeing train ride and a catamaran sail. Travel in custom railcars on a line built a century ago to carry cane from plantations to sugar factories while enjoying views of lush fields, mountains, historic estates and countryside as well as engaging commentary, choral entertainment and complimentary drinks. Complete the circle around the island via catamaran, cruising along the scenic southwestern coast. Highlights: Sightseeing Train: Discover St. Kitts’ natural beauty and history on a commented 18-mile ride on a historic rail line. Custom Railcars: Enjoy breezes from the open-air upper level and cool comfort, vaulted windows, drinks and musical entertainment below. 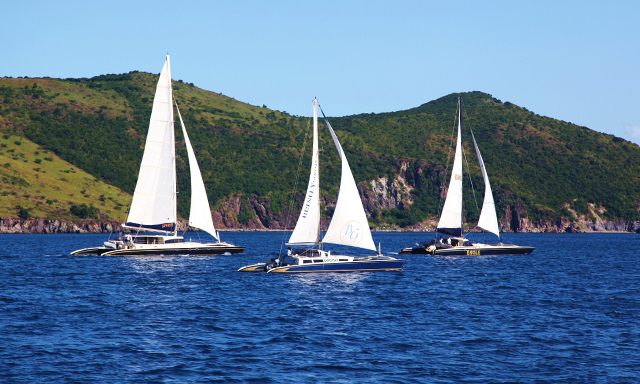 Catamaran Sail: Complete your island tour with vistas of the southwest coast from the water and light refreshments. Overview: Enjoy a fun, interactive experience with a dolphin in a lagoon-like setting surrounded by mangroves at Prospect Reef. Your experience begins in the saltwater pool on a submerged platform from which you can pet, kiss and shake the pectoral fin of one of these amazing, playful marine mammals. Swim out into deeper waters and get towed back in by your new friend, who may also entertain you by singing. Highlights: Dolphin Swim: Meet, greet, kiss and ride on the belly of a friendly dolphin during a memorable encounter Educational Experience: Learn about the behavior and life of this amazing creature of the sea from expert trainers. Overview: First-time divers on this St. Maarten scuba expedition will embrace the fundamentals before heading off to dive among magnificent coral reefs alive with tropical fish, stingrays and sea turtles. 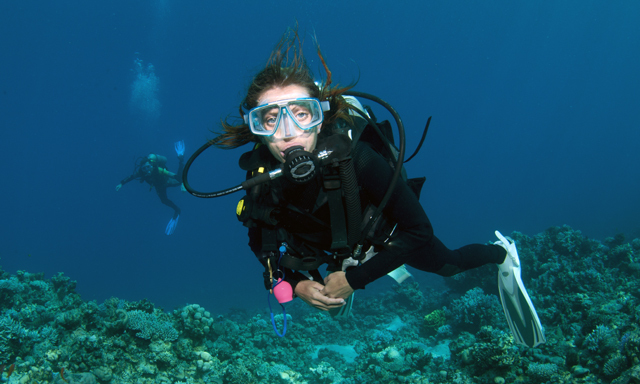 You’ll learn how to use scuba gear and experience the sensation of weightlessness, guided by a trained instructor. Journey through shallow, crystalline waters teeming with marine life on your guided tour. 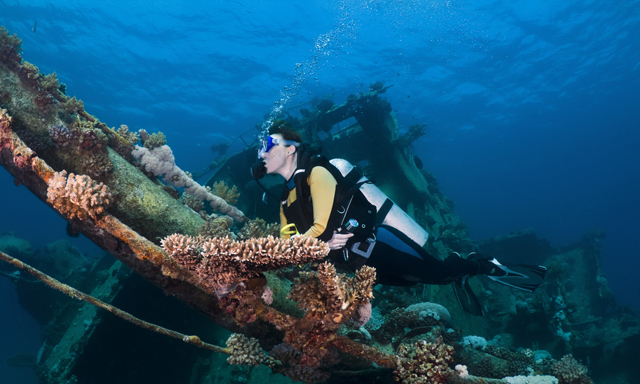 See a shipwreck and marvel at the mysteries of reef life before heading back. 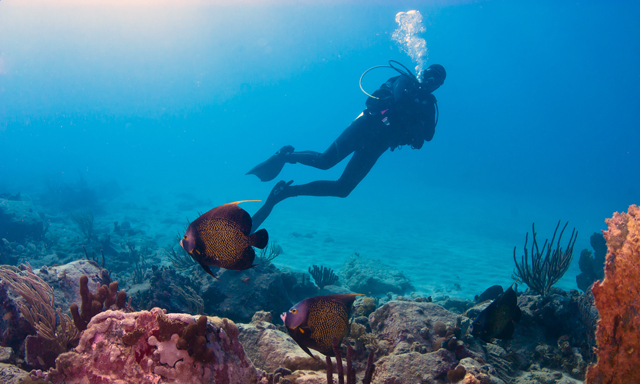 Highlights: St. Maarten Dive Training: Learn the fundamentals of scuba from a trained dive instructor in beautiful, calm Caribbean waters. Tropical Marine Life: Explore coral reefs and tropical fish on a guided dive in shallow, balmy clear waters. Caribbean Reefs: Soak in the pristine beauty of magnificently-hued tropical fish and live coral reefs.